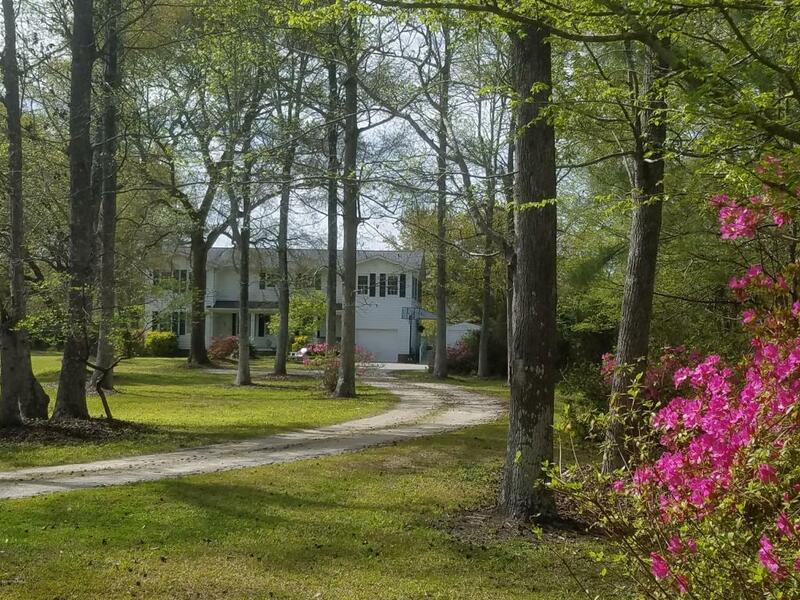 Radiant Southern estate styled home nestled far off the road on .9 acre of lake front property less than .5 mile from the ICW. 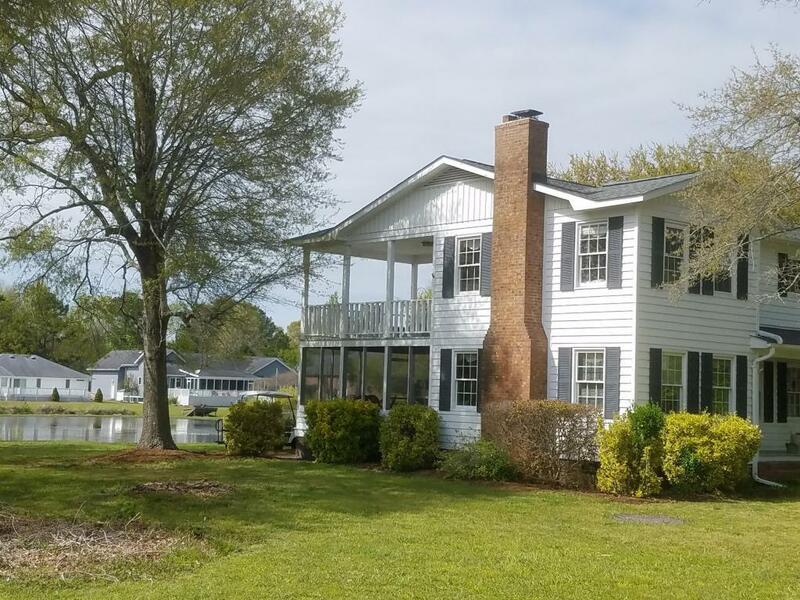 You can smell the salt in the air while rocking on the front porch or one of several porches and decks overlooking the lake in back. The reverse floor plan (kitchen on second floor) captures sweeping views of the lake through a plethora of brand new windows and new sliding glass door. A 2018 built open deck is lit at night for evening grilling and is adjacent to a fully screened porch. French doors lead to the upper level covered deck. 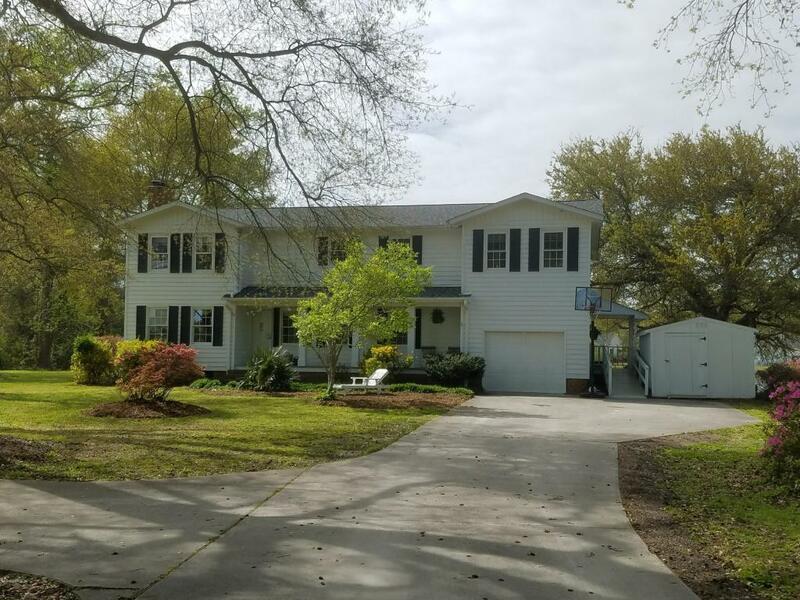 Cherry and pine hardwoods throughout all living spaces, wainscoting in dining area, cedar closets in all bedrooms, character oozes from every room. A new roof 2017 provides a 50 yr transferable warranty, new hot water heater, HVACcompletely replaced in 2010. A full bedroom and bathroom are handicapped accessible downstairs, along with a billiard room and additional office/flex space, and cozy library with chestnut built-ins and wood burning fireplace. Interior updates include stainless appliances in the kitchen with ceramic tiled floors and counters,. Three closets in the master suite, updated master bath, dual vanities in both bathrooms upstairs. Outside brick fire-pit. Please see exceptional features sheet uploaded in documents for more details. 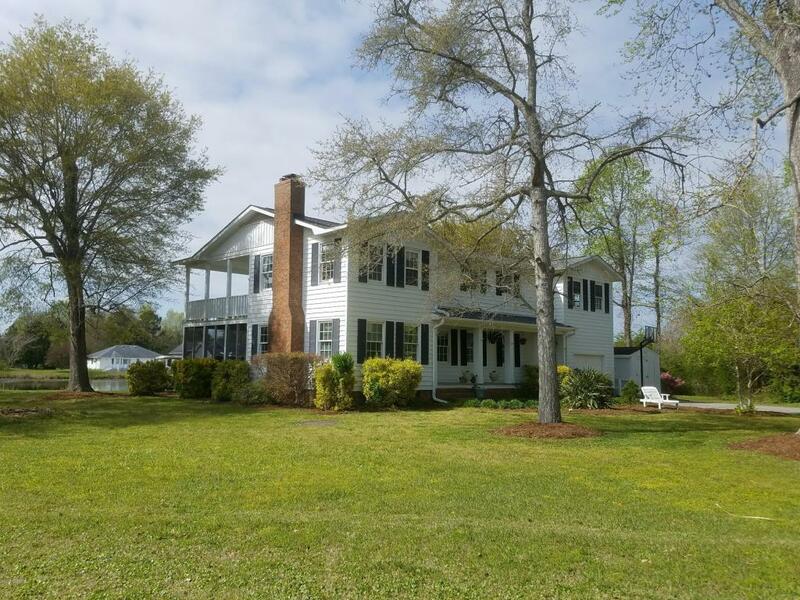 Listing provided courtesy of Dana C Little of Coastal Realty Associates Llc.